I was so not prepared for this story. I knew it was a retelling of Vlad the Impaler if Vlad were a female but that was it. Historical fiction and history is not my strong suite but with that aside - this story was AMAZING. When Lada Dragwlya was born, her father, Vlad the ruler of Wallachia, was not happy. He did not want a child that was not a male. Her own mother did not even want her. As a result, Lada was raised with her younger borther, Radu, and both were taught to fight. Lada was not raised to be a lady so when she started to fight dirty, nobody expected it. While still young, Lada and Radu were taken from Wallachia and abandoned by their father in the Ottoman courts. Here is where Lada's cunning fighting and strategy abilities started to shine. Lada and Radu know they have only themselves to rely on as they become pawns in a horrible political game. Lada bides her time dreaming of the day she can march back to her homeland and take what is hers. Radu wants only peace and finds more than that when they meet Mehmed, a son of the sultan and one day heir to the empire. These three have formed a very close bond and what they go through will push all of them past the breaking point. Will their friendship and love be enough to save them all? This story simply blew me away. There was no fantasy, no magic, no horrid insta-love involved in this story. It is simply this: Picture Vlad as a female and how might have history changed? Could a female in a position of power be taken as seriously? The answer is YES. The way Kiersten White wrote this story is simply breathtaking. I loved every minute. I loved Lada from the moment she came into the story as a screaming baby. I loved her development, her determination, her fierceness. She was such an amazing protagonist that I couldn't get enough of her. To read of her struggle to prove herself tough enough and nasty enough to stand with the boys was amazing. But take note, she may be a seriously badass MC, she is still a female and has feelings that cannot be ignored. I pretty much loved all of the characters. I loved their development and how they grew into who they needed to be. I felt my heart breaking for Radu throughout the story as he was so delicate. Radu was such a gentle soul in an ugly and harsh world. He was absolutely perfect in this story. The world building was just amazing. White took her time painting the picture that was Wallachia and the Ottoman Empire. Her ability to write you directly into the world was spectacular. None of it felt like overkill or boring. She didn't take too much time or too many chapters describing items that had no importance. I'm not sure I can say enough good things about the pacing and world building. It all worked so perfectly. The best thing of this story: no love triangle! There are no multiple love interests or insta-loves! It's such a breath of fresh air. I strongly recommend this book to everyone. I have read mixed reviews, some people were bored to tears while others, like me, adored the story. I partially agree that the politics were strong in this story, but that is just it - they are a part of the history and story. You cannot tell this tale without bringing the politics and some religion in to it. But mind you, the religious parts were not preachy, simply stating the facts. I did give this story 5 stars and I stick by my rating. 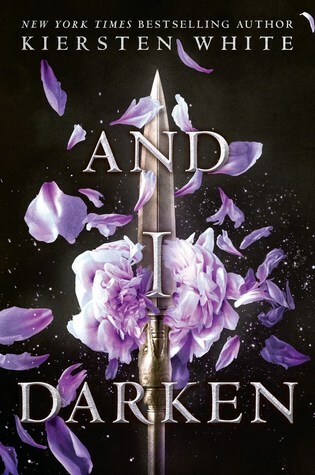 I loved this book and cannot wait to read the next in the series.